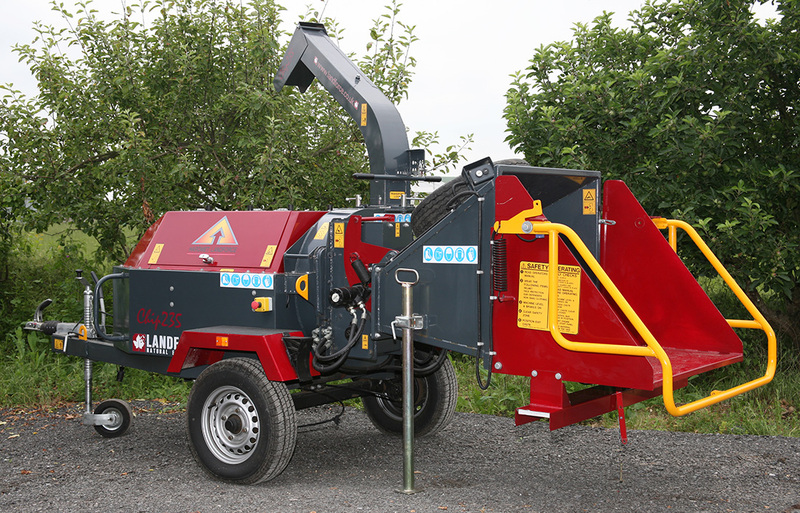 Hardmet Landforce Ltd is a UK owned company, founded on over 25 years combined experience in the design and manufacture of wood chippers, green waste shredders and stump grinders. The Hardmet Landforce range includes a very wide range of chippers to suit your needs - the rugged and durable DUO Chipper Shredders and the CHIP range of dedicated wood chippers. Wow - what a bit of kit! It just destroys anything my lads put into it! 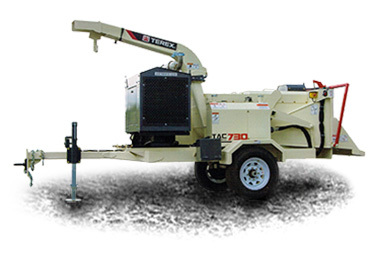 This means that - whatever work you do - we have the ideal wood chipper for you, suiting virtually every purpose. ... do the job you want when you want! So why choose Landforce for your next wood chipper? We know what our customers want - a wood chipper is a tool, like any other tool, and it's no good if it can't cope with the work you need it do do, or breaks down in the middle of a job. That's where the Landforce range of chippers comes in - rugged, durable machines which will cope with anything you throw at them and will go on working year after year. We are confident - and our customers' experience backs this up - that a Landforce wood chipper will beat absolutely any other chipper available on the market - stronger, tougher and more reliable - the type of wood chipper which we know you want. Just fill in the enquiry form, for more information or to arrange a test of any of our chippers. Trust Landforce to work for you! The original Hardmet Landforce Chip range of dedicated towed wood chippers offers 3 machines with powerful Deutz diesel engines - from 30hp (20.1kW) to 61hp (45.4kW) - which give reliable power, all day. 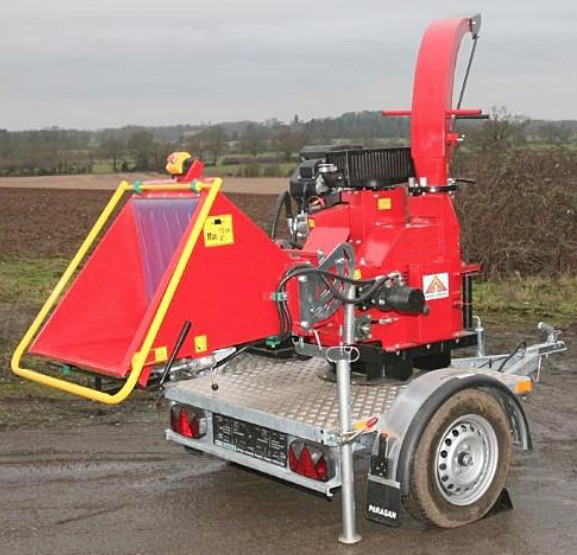 These wood chippers have twin hydraulic feed rollers, for fast, strong and effective handling - but they'll also close to feed a single blade of grass! The original Chip wood chipper range is particularly suited to the needs of arboriculturalists, tree surgeons, contractors and hire companies, offering flexibility where it's needed. The original Landforce Chip range of wood chippers comprises 3 models with a 165mm, 200mm and 235mm chipper capability. 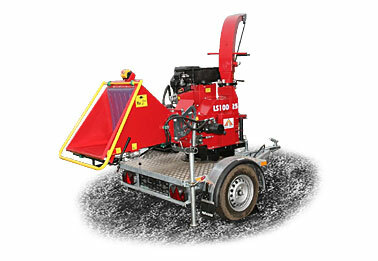 Now click here for full specifications of the original Landforce Chip range of wood chippers. 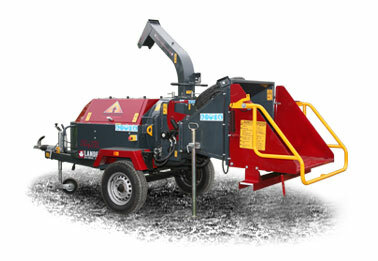 Any questions about our range of wood chippers, or if you'd like some more information? Just fill in our enquiry form at the top of this page and we'll get straight back to you. Now click here for full specifications of the Landforce Chip 100/27 wood chipper. The heavy duty Chip 730 Terex is designed for chipping tree trunks, large branches and logs with diameter of up to 330 mm. With its exceptional cutting power, this is the wood chipper for the larger professional tree surgery or forestry contractor. 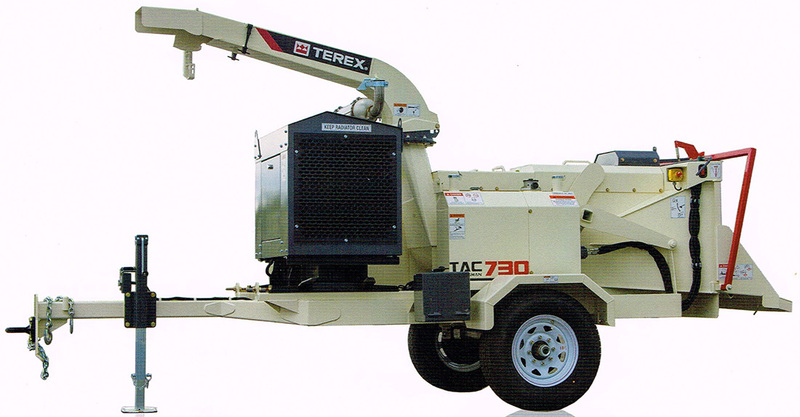 Now click here for full specifications of the Landforce Chip 730 Terex wood chipper. The Landforce difference - wood chippers with more power and better performance - built to last! When you buy Landforce, you get the best that money can buy - a wood chipper that works for you and your business, year after year. From a company working with you, making sure you succeed. Hardmet Landforce are totally committed to supporting you, our customer. We deliver engineering excellence and continued improvements to our wood chippers and, indeed, to ALL our machines. We particularly pride ourselves on responsiveness to our customers' needs. On the one occasion that I had a problem, I rang the company and 2 hours later there was a fitter working on it. That's what's important to me - my customer was kept happy, my lads and I weren't stopped, the job got done and the money's in the bank!